Ready to stitch up some little treasure? 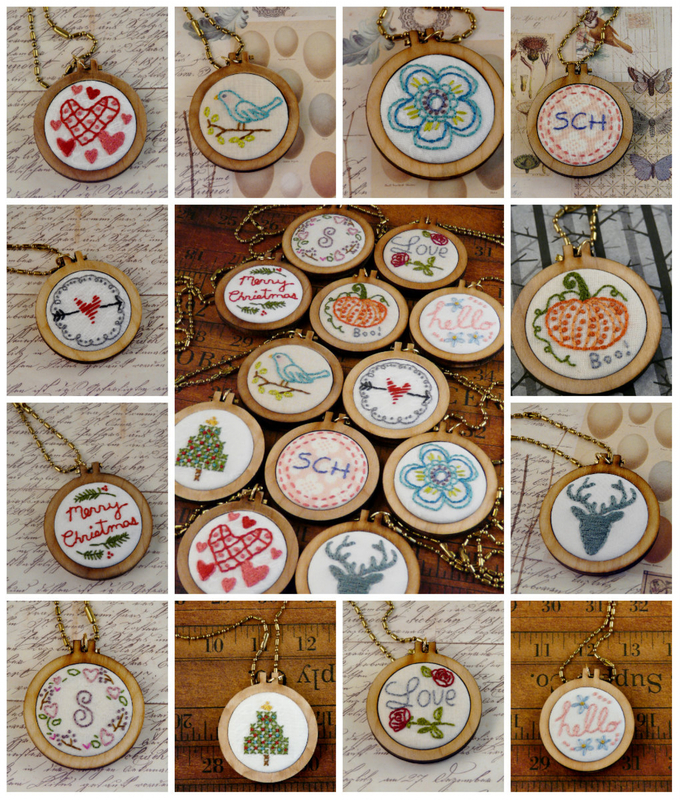 Stitch up some quick & unique necklaces... 12 designs in one. There is a project for every time of the year! Two designs can be customized for your needs- Pattern includes 3 alphabets. 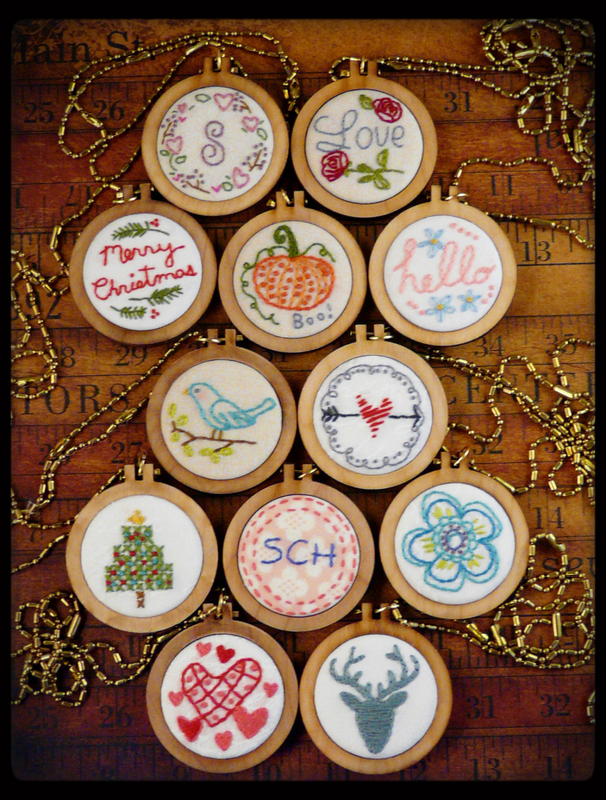 There is Love with roses, a deer, Hearts, Boo pumpkin, wreath with monogram, dashed lines with monogram, Hello with flowers, big blue flower, cross stitch Christmas tree, Merry Christmas, Blue bird and Heart with arrow. Embroidery designs measure: 1 3/4" x 1 3/4"
THIS PATTERN DOES NOT COME WITH THE MINI HOOP PENDANT BLANKS...IT IS JUST THE PATTERN. Order pendant blanks here.